Surf Grand Haven www.surfgrandhaven.com is a community landmark that provides unique and useful information to our residents and seasonal tourists from all over America. This website is a valuable Grand Haven area asset and the only source of reliable and up-to-date Lake Michigan conditions used by weather forecasters, search and rescue personnel surfers, and thousands of boaters and fishermen. Surf Grand Haven features a 7-day weather forecast based on professional research by Grand Haven’s only true meteorologist and includes actual water temperature at the beach and real-time atmospheric temperature, windspeed and much more. 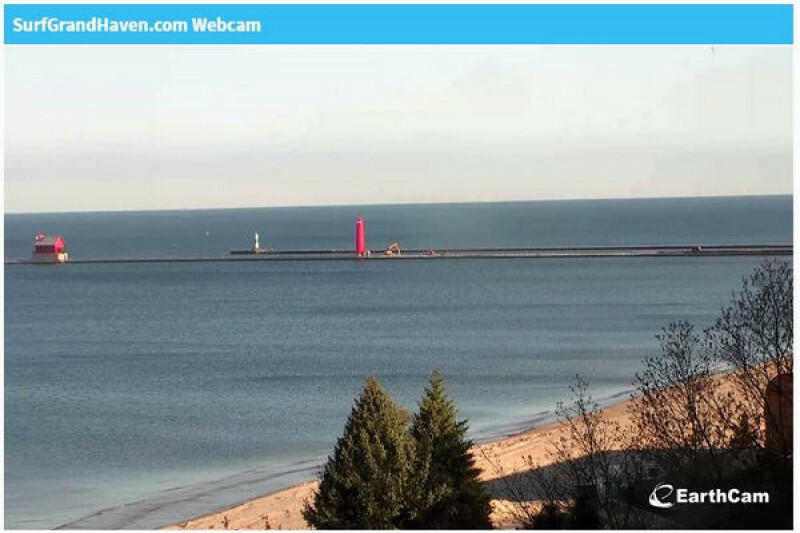 At the core of Surf Grand Haven is its popular Webcam that streams 24/7 live high definition video to the web, showing real-time water conditions in vivid high-definition. Its over 238,000 unique monthly visitors, makes it the most popular Webcam in Western Michigan. The 2018 Support Surf Grand Haven project is now underway. Surf Grand Haven is supported entirely by contributions from local governments, businesses, organizations and individual boaters and surfers Your contributions will help fund website maintenance, repair & replacement of sensitive meteorological instruments and, very importantly, our landmark Webcam. You can become Surf Grand Haven Supporter NOW by logging-on at www.surfgrandhaven.com and donating to this this very worthwhile community service. Contribute this much and you become our Surf Grand Haven Supporter and get your name listed on the site. Gold Member you will get everything above but you also will get a dinner on us gift certificate. If you own a business and you contribute $500.00 you will get a 300x250 banner ad on our website, that will be directed to your own business website. This will get you a banner ad right below the webcam for an entire year. and also you will become one of our featured businesses.